Who hasn't heard of the MPC3000, the machine that made whole genres of music possible? The sound, the rhythmic feel, in fact the way everything came together made the MPC3000 completely unique--an instant classic. And now there's the MPC3000 Limited Edition. With all the vintage features of the MPC3000 plus a gorgeous custom paint job, the MPC3000 Limited Edition once again gives you the chance to put a legend to work for your music. Are you ready for classic performance with incredible looks? 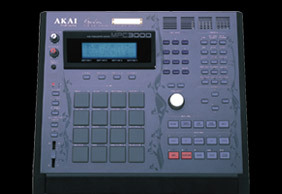 Then check out the MPC3000 Limited Edition. But be careful, because to try it once is to love it forever.